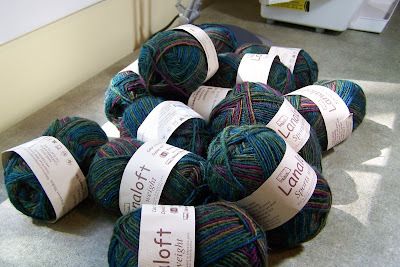 A bundle of yarn finally arrived for me at my local yarn store. 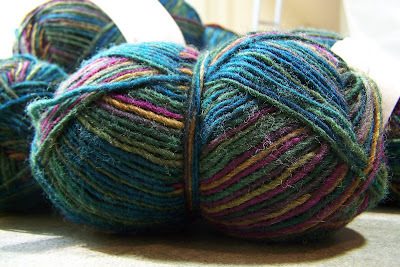 I am so excited to try a handpaint yarn for a sweater. This is a bit “out of the box” for me…one who normally prefers solid colors. Highlander is a fantastic pattern from Anne Hanson of Knitspot. I can’t wait to get started! That yarn looks like it will be great for the project! I can’t wait to see how the yarn will knit up.